Jennifer commenced working at CeRDI in 2009 while completing a Bachelor of Management (Honours) at the University of Ballarat. Her honours thesis explored Generation Y consumers' motives for consenting to receive e-marketing communications. 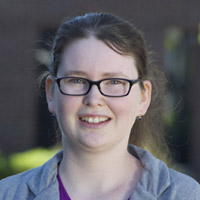 She is skilled in a range of eResearch data collection, analysis and reporting tools which she uses to provide support to CeRDI researchers across a range of research projects.